GDAE will award its 2014 Leontief Prize for Advancing the Frontiers of Economic Thought to Angus Deaton and James K. Galbraith. This year’s award, titled "Inequality and Well-Being in an Age of Instability," recognizes the contributions that these researchers have made to the studies of poverty, inequality, and well-being. They have both played a critical role in bringing grounded empirical analysis to bear on topics in need of applied interdisciplinary research. The ceremony and lectures by the awardees will take place in the spring of 2014 at Tufts University ; further details will be forthcoming. 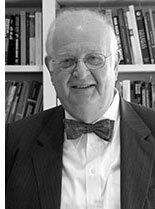 Dr. Angus Deaton is the Dwight D. Eisenhower Professor of Economics and International Affairs at Princeton University. Dr. Deaton’s research areas include health, economic development, and the analysis of household behavior, especially at the microeconomic level. His current research focuses on the determinants of health in rich and poor countries, as well as on the measurement of poverty in India and around the world. His book, “The Great Escape : Health, Wealth, and the Origins of Inequality” is scheduled for publication in late 2013. Dr. James K. Galbraith holds the Lloyd M. Bentsen Jr. Chair in Government/Business Relations and a professorship of Government at the University of Texas at Austin. His research focuses on the measurement and understanding of inequality in the world economy. He is the author of several hundred journal articles and six books, including “Inequality and Industrial Policy : A Global View” and “Created Unequal : The Crisis in American Pay.” His most recent book is “Inequality and Instability : A Study of the World Economy Just Before the Great Crisis” (Oxford University Press, 2012). GDAE inaugurated its economics award in 2000 in memory of Nobel Prize- winning economist and GDAE advisory board member Wassily Leontief. The Leontief Prize recognizes economists whose work, like that of the institute and Leontief himself, combines theoretical and empirical research to promote a more comprehensive understanding of social and environmental processes. The inaugural prizes were awarded in 2000 to John Kenneth Galbraith and Nobel Prize winner Amartya Sen. 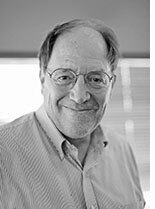 Since then, GDAE has awarded the Leontief Prize to Paul Streeten, Herman Daly, Alice Amsden, Dani Rodrik, Nancy Folbre, Robert Frank, Richard Nelson, Ha-Joon Chang, Samuel Bowles, Juliet Schor, Jomo Kwame Sundaram, Stephen DeCanio, José Antonio Ocampo, Robert Wade, Bina Agarwal, Daniel Kahneman, Nicholas Stern, Martin Weitzman, C. Peter Timmer, Michael Lipton, Albert O. Hirschman (posthumous), and Frances Stewart.